A break-in is one of the most painful things any homeowner can experience. In 2016, the average home burglary caused over $2,000 in damage. Many of these break-ins could have been prevented had the owner installed high security locks on their doors. A high security lock is one that is resistant common attacks from thieves such as prying, drilling, and “bumping.” Another major benefit of high security locks is their ability to be key controlled, preventing unauthorized copies from being made. Most doors on new houses come with standard locks that aren’t built to withstand these common attacks from burglars. If you are worried about someone having access to your home, it’s recommended that you install a high security lock, deadbolt, and strike plate on the door of your home or business. While most homeowners think they’re adequately protecting their property with a standard dead-bolt, there is actually a technique called lock bumping, which is a technique used to unlock a door without the master key. A specially cut “bump” key (like the ones in the picture below) is inserted into the keyhole, and with a little force and a twist, the door becomes unlocked. This technique was initially used by locksmiths and first responders, but thanks to the internet, thieves can buy these bump keys online for just a few dollars. Research suggests that around 90 percent of household locks can’t prevent lock bumping. A high security lock such as Medeco or Mul-T-Lock are built to be bump resistant, making it difficult for would-be burglars from entering your home. Residential and commercial high security locks are rated for their protection against common attacks. These locks meet the requirements set by the American National Standards Institute (ANSI). Each lock is rigorously tested to ensure its ability to ward off thieves and other criminals. Here are the different grades of locks and what they mean when it comes to the security of your door. Grade 3 (Standard Security, Residential) – The lowest grade for locks given by ANSI. Grade 3 locks are generally used for residential buildings. These locks have not failed after 200,000 rotations and can withstand 2 high impact blows with 60 foot pounds of force each. Grade 2 (High Security, Residential) – Usually classified as high security residential locks. These locks have not failed after 400,000 rotations and can withstand 2 high impact blows with 60 foot pounds of force as well as 2 high impact blows with 90 foot pounds of force. Having high security locks and deadbolts installed onto your home is one of best ways to prevent break-ins. 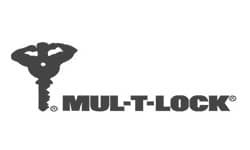 Some of the best high security lock brands in the industry are Medeco and Mul-T-Lock. These high security locks are designed to make it impossible for someone to bump or pick your locks, so you can be sure that they won’t be able to enter your home. Medeco and Mul-T-Lock also use patented key control systems which prevent unauthorized copies of keys from being made. Here are some of the features and benefits from two of the best brands of high security locks. Underwriters Laboratories (UL) listed for use on fire doors. Grade 1 certification with the American National Standards Institute (ANSI). Can be incorporated into a master key system. Medeco deadbolts protects against bump, pry, and drill attacks. 1” hardened steel bolt resists sawing and crowbar attacks. Uses unique, high security precision pin tumbler set. Available in Grade 1 or Grade 2 high security. Can be mastered or keyed differently. Key control to prevent unauthorized copies from being made. Without the right protection, many doors of homes and businesses are susceptible to being kicked in by thieves and other criminals. A great way to prevent these kinds of break-ins is to install a Tuff Strike high security strike plate on the jamb of your door. 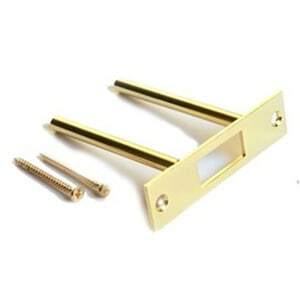 A strike plate is a metal plate affixed to a door jamb with an opening for the insertion the door lock bolt. The strike plate helps prevent the door from being breached or kicked in. A typical strike plate uses only two standard size wood screws for anchoring which do not provide any real protection against burglars. High security strike plates are vastly stronger. These strike plates use extended steel screws to affix the plate to the door frame, which provide for much better stopping power over regular strike plates. In addition, high security strike plates use two four inch steel posts that insert deep inside the actual home structure. By using better materials, longer screw anchors and reinforced metal posts high security strike plates afford superior strength and support for burglary prevention. Protect your home and family by installing a high security Tuff Strike strike plate into the frame of your door. Contact your local locksmith today to get started. According to the FBI, nearly two million homes are broken into each year, many of which are the result of poor household security. 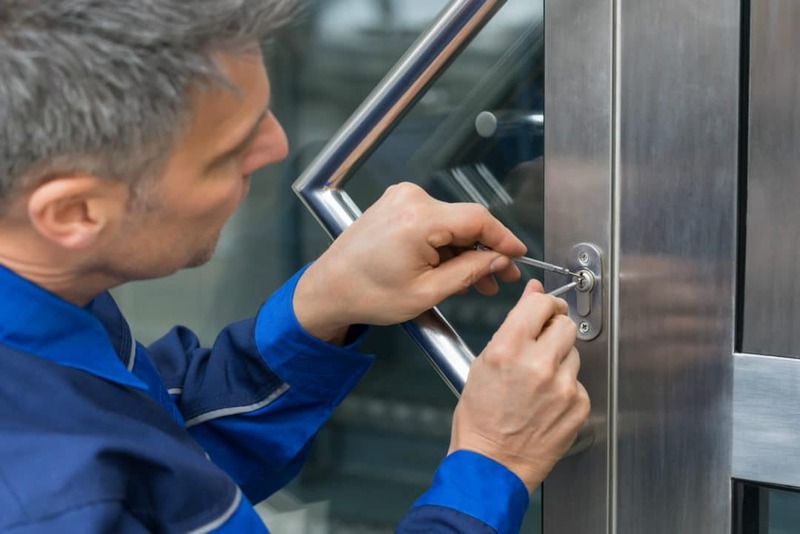 Without installing a high security lock system, your door may be susceptible to being picked, kicked in, drilled, or “bumped.” It’s important that you spend the time to find a reputable locksmith who can who can correctly install high security locks on your doors. At Houston Safe & Lock, our locksmiths are rigorously trained and certified for your protection. Check out this guide on How To Choose A Trustworthy Locksmith if you’re unsure about who to hire. 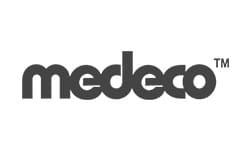 We are also one of the largest Medeco and Mul-T-Lock dealers in the Houston area. If you need your house rekeyed or need a new set of locks installed on your doors, we will be more than happy to send you one our licensed, bonded & insured Houston locksmiths to assist you. Give us a call today or visit our local showroom today to speak to one of our Houston locksmiths about securing your home or business.